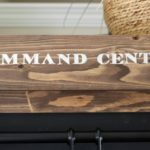 Did you stop by yesterday when I revealed all the fun details of our new Command Center? I just couldn’t wait! 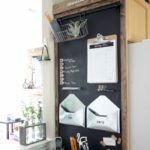 I took that wasted space beside the refrigerator and turned it into a perfect, functional space! If you’re curious how I did it, you’re in luck! 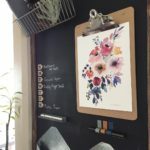 Today I’m sharing How to Build Your Own Magnetic Chalkboard! I’m not sharing specific materials, because sizes and amounts depend on the size you are building for. To start, you need to secure a piece of sheet metal. 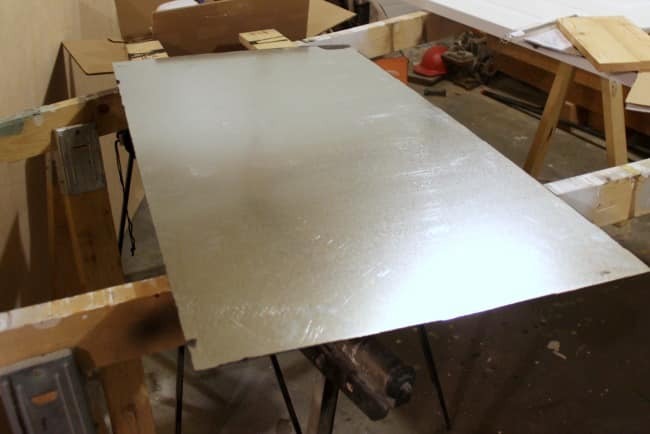 Luckily, we have a wonderful friend that was able to cut some us a sheet out of some scrap metal (thank you!). 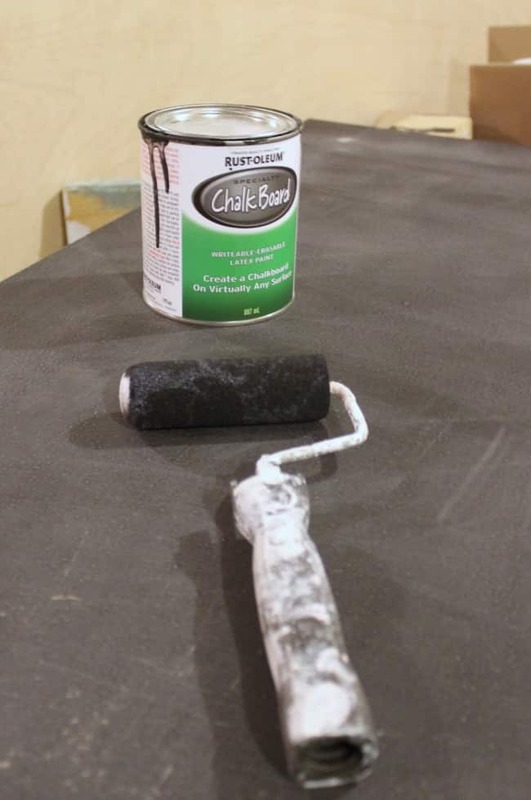 Once you have your sheet metal, you want to give it a couple coats of chalkboard paint. and let it dry. Next, we built a frame to surround the sheet metal. We wanted the frame to have a bit of a lip so that we could drill the sheet metal into the frame so that it would sit nicely. 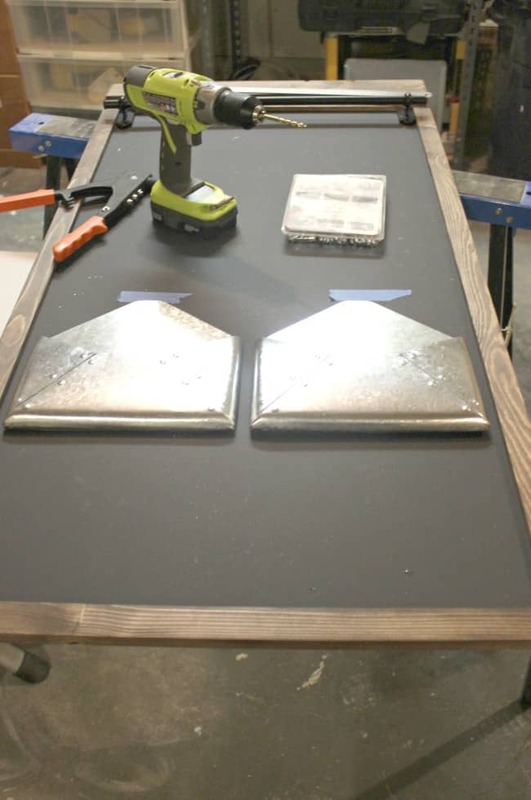 Once the frame was built, we stained it a deep brown, and got ready to attach a few fun hardware pieces! I used the Fintorp System from IKEA to add a little bit of stylish organization to the top of the industrial command center. 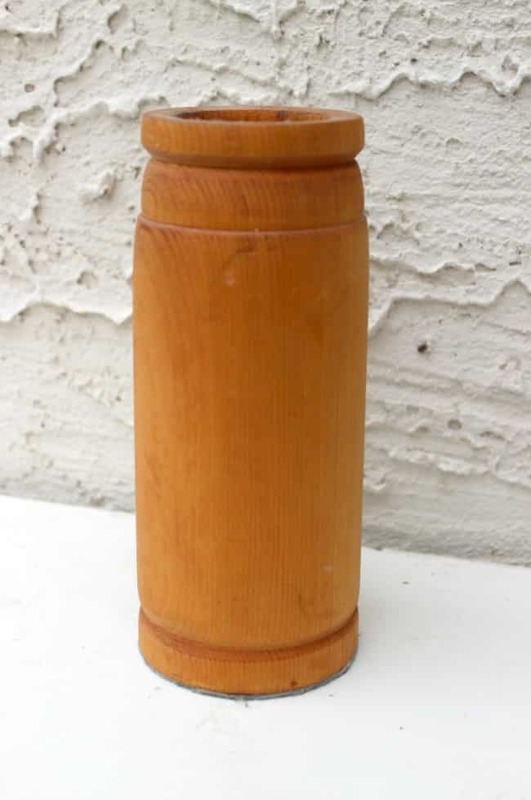 All you need is a drill to install it! And we have LOTS of hooks, so we can add more baskets, etc. whenever we want. Finally I picked up the amazing mail envelopes at Target (before they left Canada – boo! ), and knew I would want them to help us organize our mail. We marked out the spot we wanted them to sit and drill holes to attach them. Here it is all done! How good does that Homestead Blue by Fusion Mineral Paint look on the pencil holder?! LOVE it! And the IKEA fintorp system was the perfect industrial addition! 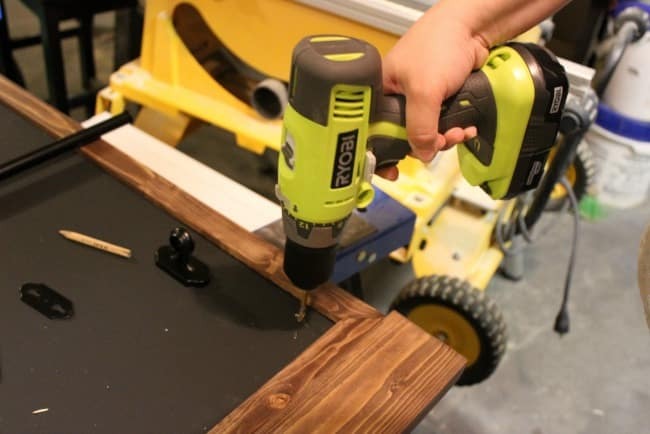 Stay tuned for more great command center DIYS – coming soon! LOVE, LOVE, LOVE this Lindi! 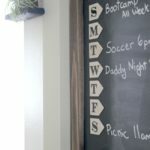 I’ve always wanted a chalkboard that’s magnetic! 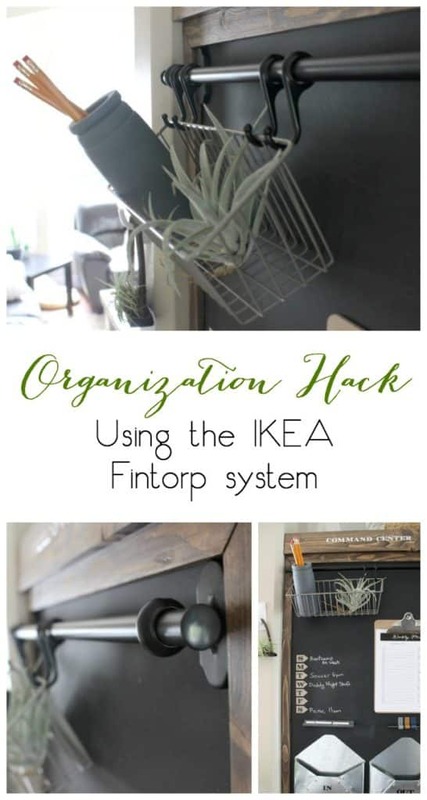 And such a great idea to use that IKEA hanging system! It’s the best! I love being about to draw on it and hang things on it at the same time! I keep switching around the layout :) Thanks so much for your kind words! Hi Lindi… awesome project! 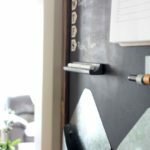 Most chalkboards are only chalkboards and not magnetic. I really like this feature, so much so, that I plan on building one this fall. 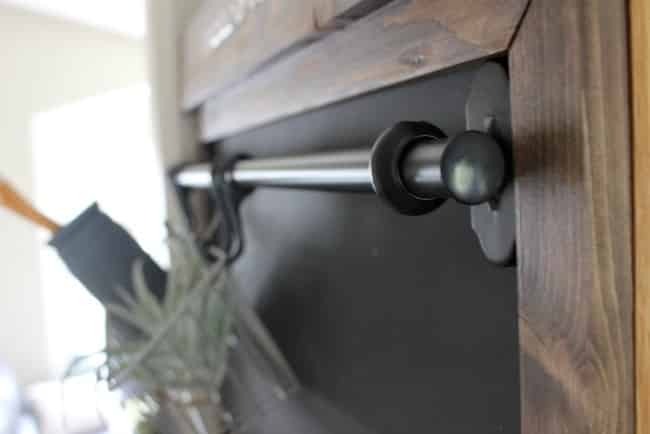 Also, the way it ties into your cabinetry around the frig, what a great idea! Thanks for sharing! I have an area in my kitchen very similar to yours. 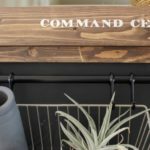 I want to do a similar system, but was wondering how you mounted your command center to your cabinetry? 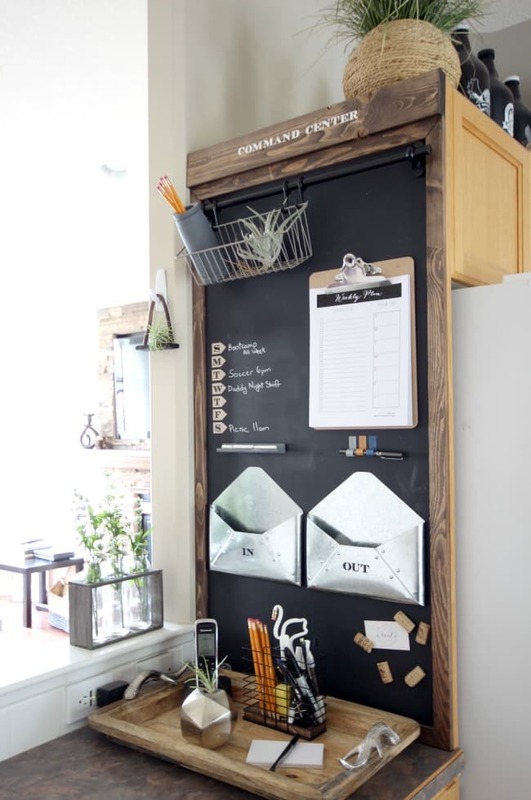 Did you anchor it to the cabinets using bolts, or do you have some sort of mounting anchors on the back of the sheet metal? Trying to find a non permanent method that will not ruin our cabinetry, and at the same time hoping it will remain intact (with longevity)considering the weight of the wood and steel too. I love your command center! 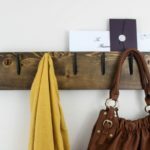 So perfect for your space! 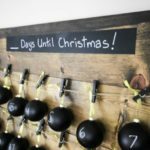 I would like to share one picture from this post on my blog with a link back to your post and possibly share in a collage. 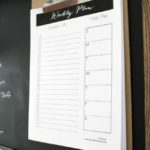 I am writing a favorites post. If you do not want me to share this, please respond and I am happy to remove it! Thanks so much! 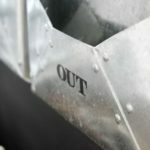 I also love the sheet metal idea instead of using a permanent area in a home. My question to you is, what did you attach the sheet metal to? 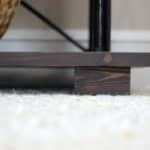 I can’t imagine attaching the IKEA Fintorp System to just a thin piece of sheet metal but maybe you did. 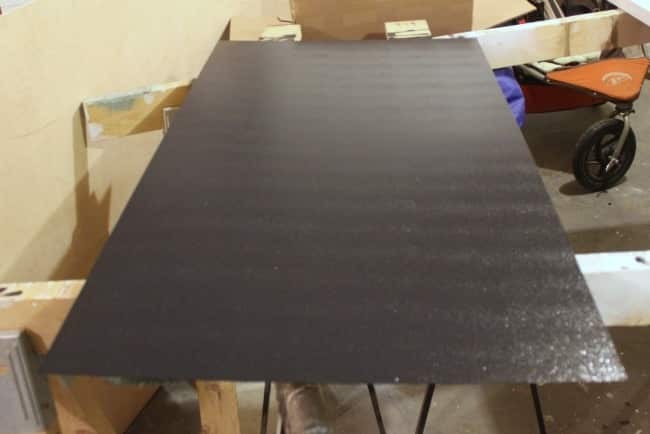 How has the chalkboard paint held up over time on the sheet metal? Oh! Great question! Actually it has! It still looks perfect! The only minor scratch on it is from when I stuck something to it (for over a year!) and peeked it off later, it took a tiny bit of paint off too. 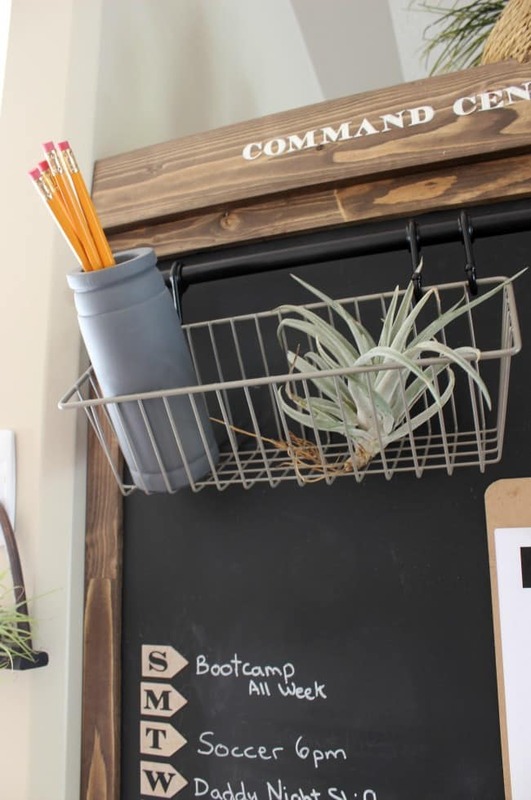 I LOVE this chalk board!! Would be willing to sell me one? 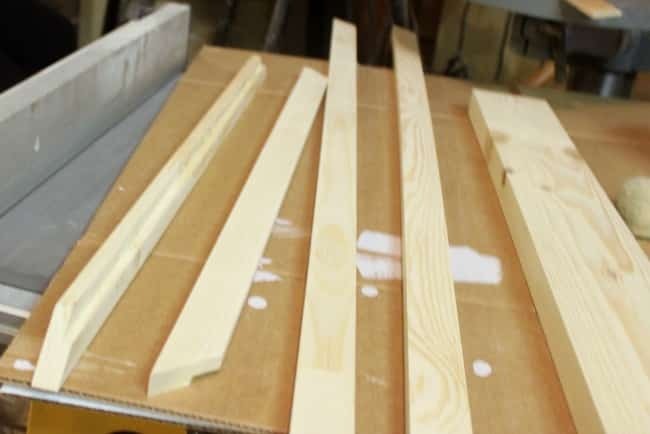 I’m willing to pay for this since I don’t have the tools that I need to make it. I’ll happily pay for shipping costs, of course. I’ll leave my name and email below. Would you be interested in selling me one? Hi Bri! I’m so sorry, but we are not currently selling anything. You may be able to find someone local to you that could make it!